Last Saturday I finally got to go and visit my parents in Reno!! With the advent of my jury duty taking up most of my month, I was not able to plan a trip to Reno with my Travel Man like I wanted to. That is until last Friday. Finally, last Friday all of the cards fell into place. My jury duty was completed at 4:30. Travel Man was in Northern CA, just finishing up his work. The stars were aligned, and the kismet was in place. We could squeeze in a little trip to Reno, so I could give my Mom and Dad a hug. I quickly called Travel Man to let him know I was out of court, and lo and behold his work was done for the week too. Except for his drive home. He was already in Tracy, CA close to either Sacramento or Oakland. So, I suggested that he fly me up to Northern CA, and then we could drive from there to Reno, a lot less driving for you know who. Then Travel Man got all of the plans in place, including hotel stays. 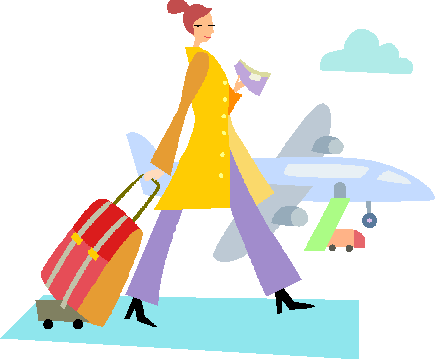 I packed my bags and Saturday morning off I went to the airport. Me being the one going to the airport and flying off to meet up with Travel Man, that was a first for this trip. Upon my arrival at the airport I was greeted by the security line that required me to go through the body scanner. This was another first for me. In the travels that I had done, in the past few years, I had avoided the scanner, but not this time. I am no longer a body scanner virgin. I arrived without any incidents at the Oakland airport. Once I got off of the plane, I made my way to the escalator that would take me to the baggage claim area. As I start to travel down the escalator, there off to the left is my Travel Guy, waiting for me! This is a total role reversal for us. I’m usually the one waiting at the bottom of the escalator. I wave to him, rather excitedly, and run over to give him a big hug as soon as I hit ground level!! It seems like we haven’t seen one another for weeks and it’s just been three days! Hopelessly in love. We make the drive to Reno, check into our hotel, and I open my suitcase to get a clean shirt out. 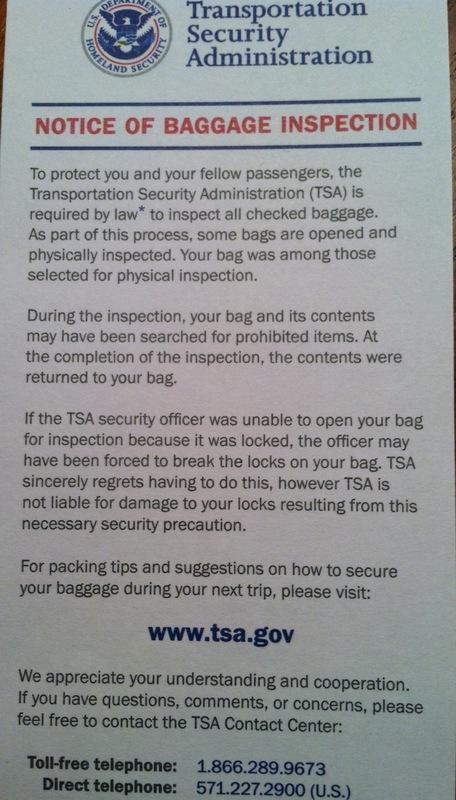 Lo and behold another first, TSA opened my suitcase to inspect it. They leave this cute little note in your suitcase, just to let you know they’ve been there. Not sure what they saw that required inspection, my tennies, the curling iron?? Travel Man told me it’s completely random, and his suitcase gets inspected all of the time. Not sure I like this one though. I have a few more stories to share over the next few days about our trip to Reno. Sometimes Travel Man and I have to do some crazy last-minute planning to have our mini trips together. But whatever we have to go through is completely worth it in order to have some time together. Being married to a road warrior can make for adventurous times, and I love every minute of it. I wouldn’t want it any other way. Did anyone else have a great travel weekend? I’m enjoying your blog, Renee. I love your clip-art, too! Glad you made the trip to Reno, hope you had some awesome adventures! If you ever need suggestions on where to eat check out my blog Biggest Little City Eats!